Super simple and pure decadence! Seriously, one ingredient and a minute's time worth of work! The only difficult part in making this is the wait!! Yes, it is ready quite a bit sooner using the Instant Pot...almost 14 hours sooner, but in honesty, while both come out equally as delicious, we have a preference for using the sous vide method. Dulce de Leche is a treat for us and is rarely made, because honestly we could just eat it by the spoonful if given the opportunity. This batch was made using the sous vide method, for two upcoming gatherings. This deliciousness will be used over crepes at one gathering, and over mini cheesecakes at the other. Hope everyone adores this as much as we do! Oh, and the extra is just gorgeous warmed & drizzled over ice cream or stirred into a Cuban espresso...as I said, pure decadence! 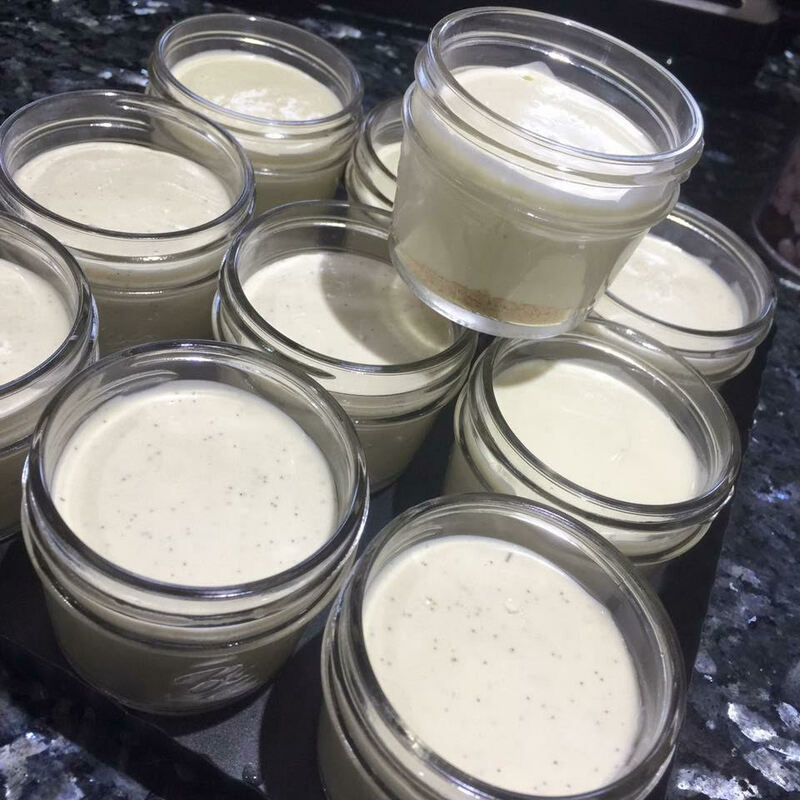 This batch was made in one large quart sized Mason jar, but previously we have used canning jars of various sizes, from 4 oz. mini jars to the quart sized used today. Use what you prefer as it doesn't affect the cook time in any way. canning jars with lids and rings. 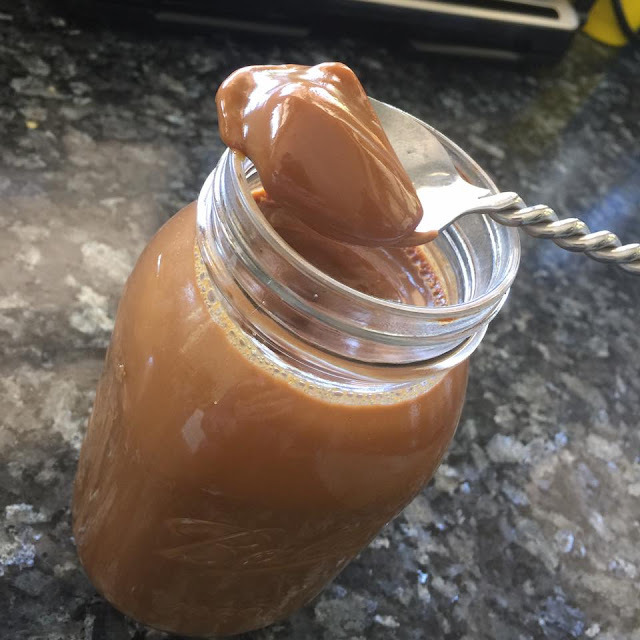 Pour the sweetened condensed milk into the jars filling between half-full to no higher than the fill line. Place lid and screw ring closed to fingertip tight. Have water deep enough so that all the jars (which can be stacked) will be completely immersed. Heat water to 185F. Once water is at temperature, add the jars. Cover the water with plastic wrap or foil to slow down the evaporation. Check the water level, adding more if necessary, to keep the jars covered. Cook for 15-16 hours. We like our Dulce de Leche a little darker, so we go 16. We usually start this just after dinner and let it go over night. Once the time is over, carefully remove the jars from the water and open carefully. Serve immediately or refrigerate for as long as it lasts or a few weeks. Use rack or steamer basket as the jars should not touch the bottom or sides of the liner. Place the jars in the steamer basket and add enough water to reach 1/2-inch below the sealing ring of the jars. Close and lock the lid and move steam release valve to sealing. Using the manual setting, set for high pressure. 30 minutes (for thinner, lighter) or our preferred 45 min (thicker, darker and richer.) Once the time is done, allow for a minimum or 30 minutes of natural pressure release (NPR) before moving the steam release valve to venting. You can, as we often do, allow for complete NPR and come back a few hours later. Carefully remove the jars from the pot and place them on a cooling rack. Allow them to cool until they are just warm to the touch. Serve immediately or refrigerate for as long as it lasts or a few weeks. We just adore rich, creamy, dense, luxurious cheesecake. The problem though, when there's a large cake in the house, everyone keeps trying to "even out" the slices or the cake, eating more and more with no stopping. Come on, you know you do it too!! So when we want a treat, the best solution for our waistlines is portion control and making these mini cheesecakes works beautifully. Also, it allows us to customize the cheesecakes. 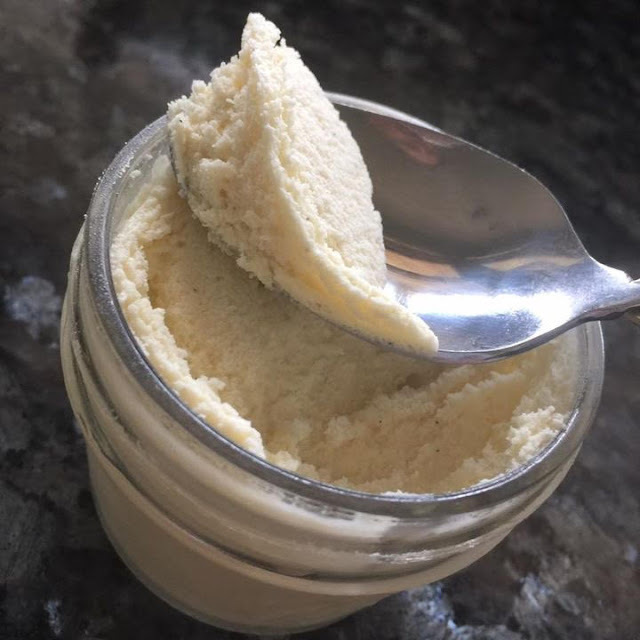 For example, in Maisie's cheesecake we use gluten-free Graham cracker crumbs. Eammon gets a regular Graham cracker crumb crust and personally, I prefer no crust at all, so mine is crumb-free. Easy-peasy to customize when you're making minis!! The sous vide method produces cheesecake perfection... dense, smooth, rich, & creamy deliciousness. Pre-heat the sous vide to 176F. In a pan on medium heat, melt the ghee and add the Graham cracker crumbs. Stirring regularly, toast the crumbs. Remove from heat and divide equally between the jars. Press down on the crumbs to even them out and create the crust. Add the cream cheese to the bowl of a mixer. Using a paddle blade, blend until smooth. Scrape down the bowl as necessary. Add the sour cream, sugar, eggs, egg yolk, and all the vanilla. Blend until perfectly smooth. Divide the cream cheese mixture evenly between the jars. Add the lid and tighten the ring finger-tip tight. 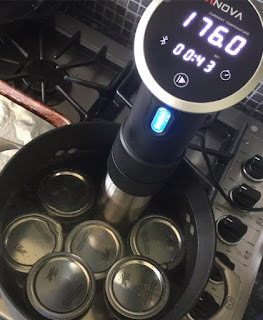 Once the sous vide has come to temperature, add the jars, making sure that they stay upright. A few air bubbles may come from the jars, but if the ring are fingertip tight, no worries. Set the timer for 1.5 hours. At the end of the time, remove the jars to a cooling rack. Once you can handle the jars, place in the refrigerator for at least 12 hours. The flavor improves after a 24 hour chill so if you can wait that long, we would advise you do. Serve cheesecakes right in the glass jars. We have visited Belize a number of times, but always quickly as one of many port stops on a cruise. Because of the quick visits, sadly we have rarely enjoyed the cuisine of the island. On one of our visits though we did explore and had the opportunity to enjoy some traditional Belizean food, including the Stew Chicken. Well, when we love something, and trust me, we adored the Stew Chicken, we have to come home and try and re-create it, and do it in our Instant Pot. When in Belize we enjoyed the Stew Chicken with rice & beans with a side of potato salad. 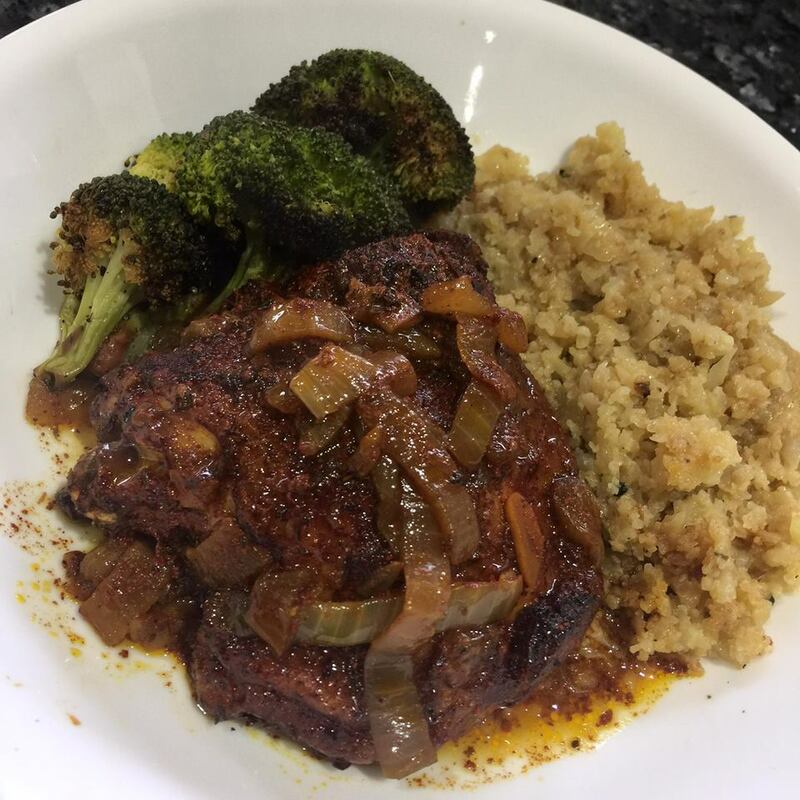 While we adored the sides with the chicken, they are a bit too carb heavy for our current diet, so we paired this almost dead-on-knock-off Belizean Stew Chicken with our favorite Toasted Cauli-rice. This Stew Chicken with the Toasted Cauli-rice gave us all the deliciousness of being in Belize while helping to keep us fitting into our bathing suits for the next time we visit. In a large bowl, mix together the Recado rojo, vinegar, coconut aminos, garlic, cumin, oregano, thyme, black pepper and Medjool date. Stir to mix well. Add the chicken pieces and mix to coat all the chicken completly with the sauce. Cover and refrigerate for at least an hour or over night. When ready to make, press the saute button and add the coconut oil to the liner of the Instant Pot. Once the oil is hot, add the onions and saute, stirring occasionally, until they are golden. Remove the onions from the pot and add the chicken pieces. Place the pieces so that they are skin side up. Add the onions back on top of the chicken along with any sauce remaining in the bowl. Add the chicken stock and bay leaves. Turn off saute by pressing the Keep Warm/Cancel button. Secure the lid and set the steam release valve to closed. Press either the Poultry button or use the manuel button, setting time for 15 minutes. Once the 15 minute cook time is finished, quick release the steam by opening the steam valve. Carefully remove the chicken pieces and place them skin side up on a foil lined baking sheet. Place the chicken under a hot broiler to crisp and toast the skin. Serve hot, with sauce ladled on top. Enjoy with Toasted Cauli-rice or more traditionally, with rice & beans and potato salad. Here in the Cook Lisa Cook home, we adore wings. Some of the wings we've blogged about were our Baked Buffalo Wings, Baked Teriyaki Wings, Baked Tandoori Wings, and Baked Chinese Five-Spice Wings. One thing you'll notice about all the wings which we make is, every-single-one is baked. We bake them hot and fast so they remain juicy and moist inside and even without frying, they have a wonderful golden & crispy skin. We each have our favorite but honestly, lately, I feel like we've been in a wing rut and in need of a new flavor. 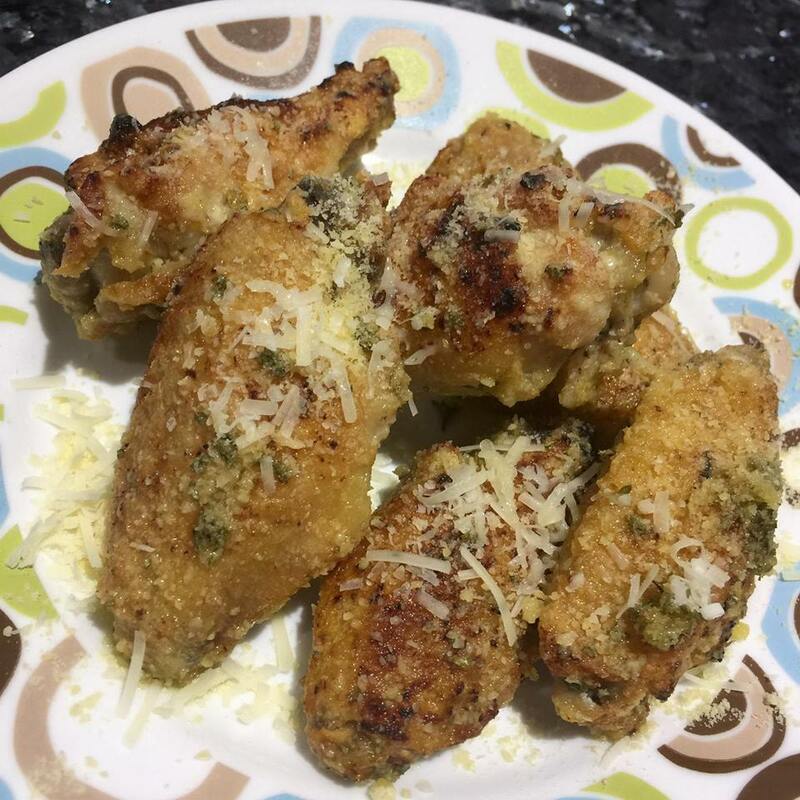 Enter, Crispy Baked Parmesan Garlic Wings. What made me think to make these was, I was making for Maisie, the gluten-free version of one of my favorite childhood dishes, noodles with butter, parmesan & garlic and thought, wouldn't that be wonderful on some wings. Seeing as we had just purchased wings and we were going to do the same-old-same-old, we just went with the new idea and winged it...get it? Winged it... ;) The new wing recipe was a hit! Buttery, garlicy and cheesy all on a perfectly cooked and crispy skinned wing. Perfection and delighted to have a new flavor in our wing line-up! Line a baking sheet with foil and place a baking rack on top. Using a paper towel, dry the wings off as well as possible. Place the wings in a large bowl and sprinkle with the baking powder, salt, pepper and 1 tsp of the garlic powder. Using your hands, toss to coat well. Place the wings, skin side up, so that they are close but not touching one another, on the rack. Allow the wings to dry with the mixture on them for about 30 minutes. Heat oven to 500F. Bake wings for 20 minutes, until golden brown. If at the 15 minute mark, you notice that they are not browning nicely, place the wings under the broiler for the remaining 5 minutes. (I have a convection oven and use the roast setting so our wings are cooked from top and bottom.) During the last 5 minutes of cook time, melt the ghee or butter and add to a large bowl. Stir in the 1 TBS. garlic powder & 1/4 cup of grated Parmesan. Once the wings are fully baked, using tongs, add them to the bowl of buttery garlic cheese and toss to coat. Add the parsley and give a final toss. Place wings on serving plate and sprinkle with the shredded Parmesan and remaining 1/8 cup grated Parmesan. Serve hot. For over two years, we have been enjoying our adaptation of Melissa Joulwan’s Silky Gingered Zucchini Soup. You'd think that by now we'd be tired of it and would have moved on to a different favorite soup, but truth be told, I can still eat this soup every.single.day, especially for breakfast. It's a great way to get in some healthy bone both and it's always warm and satisifying. 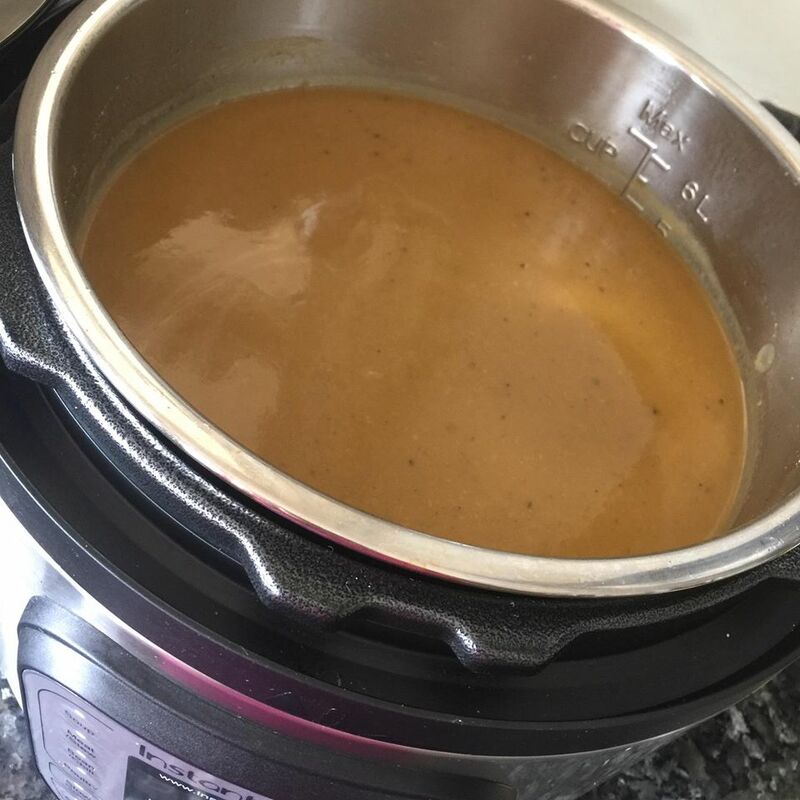 It's perfectly labled by Melissa as “a healthy hug in a bowl.” Though a simple recipe to make on the stove, it's now even easier and quicker using our Instant Pot. Though we have the 8-qt. Instant Pot, it still holds less than our big stock pot, so I've adjusted the amounts from the stovetop recipe. This recipe will work in either a 6-qt. or 8-qt. Instant Pot. Remember, if you do freeze the soup, you’ll need to puree it again once thawed, either by placing it in the blender or using an immersion blender. So, if you have an abundance of zucchini or need a warm hug, make this soup!! Turn on saute mode and heat the beef tallow or coconut oil in the liner of the Instant Pot. Add the onions and sauté until caramelized. Add the garlic, ginger, coriander, salt & pepper. Cook stirring continuously until toasted and fragrant, about 2 minutes. Add the bone broth and zucchini. Press Keep warm/Cancel button to stop the sauté. Secure the lid and move the vent to closed. Press Manuel and using the -/+ buttons, adjust the time to 10 minutes. Once the 10 minutes are finished, allow for NPR (natural pressure release). Once the pressure has dropped and the pin falls, remove the lid. Use an immersion blender to puree the soup, or use a blender to carefully puree (use a towel to hold the lid on the blender on whilst pureeing.) Adjust salt and pepper seasoning. Serve hot. We have a favorite Salsa Verde Chicken recipe which we've enjoyed many, many times, but it was time to change it up a bit and add a twist, so enter Coconut Mango Salsa Verde Chicken. The heat of the peppers and the creaminess of the coconut milk along with the sweetness of the mango are perfection. Add in that it cooks in the Instant Pot in just mere minutes, makes this a winning dish all around. The dish has a good heat kick to it, but it mellows after the first day. This reheats beautifully and don't be suprised if everyone is licking their plate to get the last bits of the sauce...it's that crazy good! Place the coconut milk in the liner of the Instant Pot and add the cumin seed, ground cumin, lime juice, chili powder, paprika & salt. Stir to combine. Add the chicken thighs, layering in, skin side up. Top the chicken with the quartered onion, roughly chopped poblanos, roughly chopped Cubanelle peppers, jalapenos and the quartered tomatillos. Secure the lid and close the steam vent. Use either the "Poultry" button or set manually for 15 minutes. Once the 15 end, quick releast the steam. Gently remove the chicken pieces and place them skin side up on a foil lined baking sheet. Broil the chicken 5-10 minutes to toast and crisp the skin. While the chicken is in the broiler, using an immersion blender, carefully blend the sauce left in the Instant Pot. Once smooth, add the sliced red bell peppers, sliced poblanos & diced tomatillos. Secure the lid and close the steam valve. Set manual timer for 2 minutes, high pressure. When the 2 minutes end, quick release the steam. Open lid and add the diced mango & cilantro and stir to combine. Check seasonings and add salt if needed. Ladle the sauce over the chicken and serve. We very rarely eat out at restaurants, but when we do, it is most often Asian restaurants of one variety or another, One of our favorite places to have a meal is in the food court of the Atlanta Chinatown Mall. While we enjoy food from many of the different restaurants, and have our favorite dish from each, when Mama wants comfort food, it's usually the chicken curry from Hong Kong BBQ. (It's not listed on their online-menu, but it's always available on their whiteboard menu.) They have a Malaysian chef who creates the most flavorful and creamy curry and we just had to attempt to make it at home. 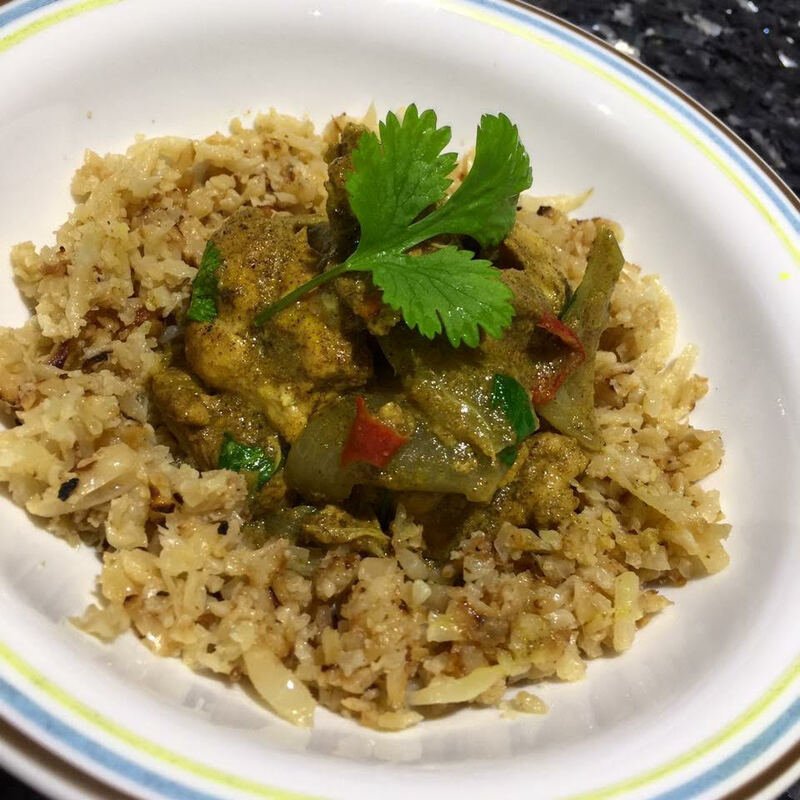 We also wanted to be able to replicate the curry in a healthy and fast way, and using the Instant Pot, we have. Though this recipe contains quite a bit of chili pepper, it is not overly hot, closer to low-medium heat, and we leave in the seeds from the fresh Thai chilis. If you're worried about heat, leave out the fresh Chili but we'd advise using at least half, if not all, of the red chili powder. We serve this over Toasted Cauli-rice, but whatever you choose to serve it over, it's delicious!! Add the coconut milk and all the dry spices to the Instant Pot liner. Stir to combine. Add the chicken, onion & Thai red chilis and stir to coat everything well. Close the lid and move vent to closed. Set high pressure for 10 minutes. After the 10 min. cook time, quick release the pressure. Stir in the fresh cilantro. Serve over Toasted Cauli-Rice. A number of years ago we started eating Cauli-rice in lieu of regular rice, in an attempt to cut down on carbs and be a bit healthier. Now whenever "rice" is served in our home, it's almost always a delicious version of a cauli-rice. This Toasted Cauli-Rice is rich, mild and somewhat creamy, because of the ghee. Toasting the cauliflower a bit adds just another flavor dimension. In the picture above, the Toasted Cauli-Rice is served with our Malaysian Chicken Curry, which is quickly made in the Instant Pot. This is a fast, healthy and delicious meal which we hope you'll try. Wash and dry the cauliflower completely. Cut into workable size pieces and rice using either the shredding blade of a food processor or a box grater. Heat a large skillet and add the ghee. Once the ghee is melted, add the riced cauliflower, onion & garlic. Cook over medium high heat, stirring once in a while. Cook until the onions are tender and the cauliflower starts to toast in areas. Add salt & pepper to taste. Maisie's crepes filled with Nutella...Yumminess! Maisie adores crepes, but as she's gluten free, they haven't in the past come always out as delicious or as close to regular crepes as we would have liked. That was until we started using cassava flour in place of other flours. 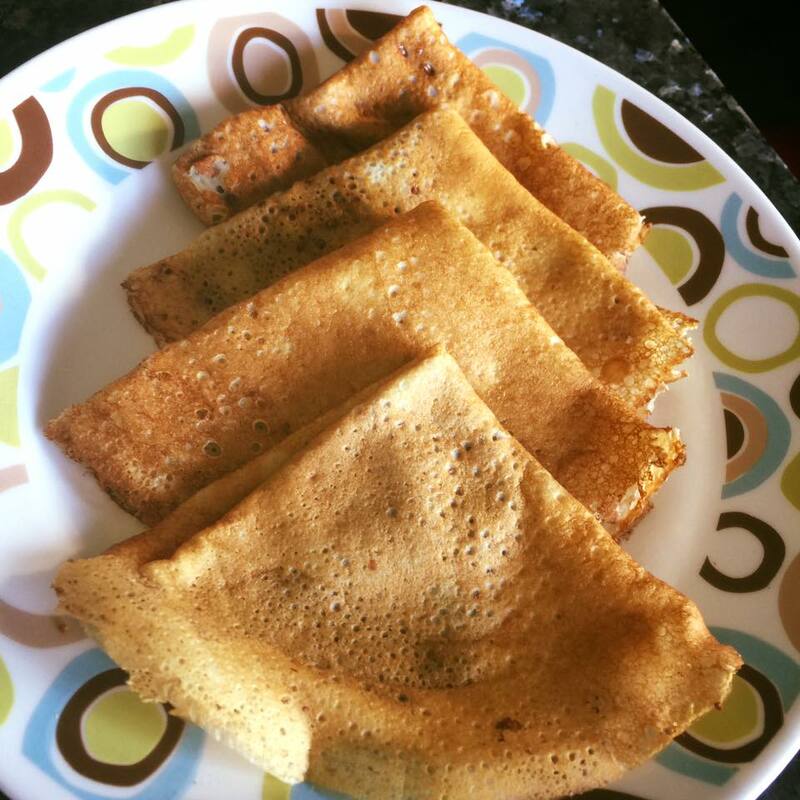 Cassava crepes cook up beautifully and taste gorgeous! The only difference when making cassava crepes compared to those made with all-purpose flour is, they need to be cooked a bit longer, because cassava flour can tend to produce a gummier texture. But, if the crepes are cooked just that little bit longer, they come out perfect with the right amount of elasticity, chew and with no gumminess. The crepes hold together well and reheat beautifully. We store them in the refrigerator, folded in quarters, stacked one upon another and wrapped tightly with plastic wrap to keep in the moisture. Reheat time in the microwave is 10-15 seconds. Heat a crepe or fry pan on medium and add enough ghee or butter to lightly coat the pan. For a 7-inch pan I use 1/8 cup of the batter. Once pan is heated add the batter and swirl pan to evenly spread the batter. Allow the crepe to cook until the edges start to brown. Use an offset spatula to release the edge of the crepe from the pan. Once the edges start to curl, gently place offset spatual under the crepe and flip the crepe over. Cook the second side for 15-20 seconds, until lightly browned. To remove crepe from pan, Turn pan over and bang onto a foil lined baking sheet. Immediately add new batter to the pan and repeat the process. If the batter does not spread well and sputters, your pan is too hot. Also, because there is so much ghee/butter in the batter, I never find it necessary to re-grease my pan after the inital time. Because the pan in the beginning will be "over greased," the first one or two crepes don't spread and come out well, but enjoy them as they are for the cook and though not perfect, definitely delicious. 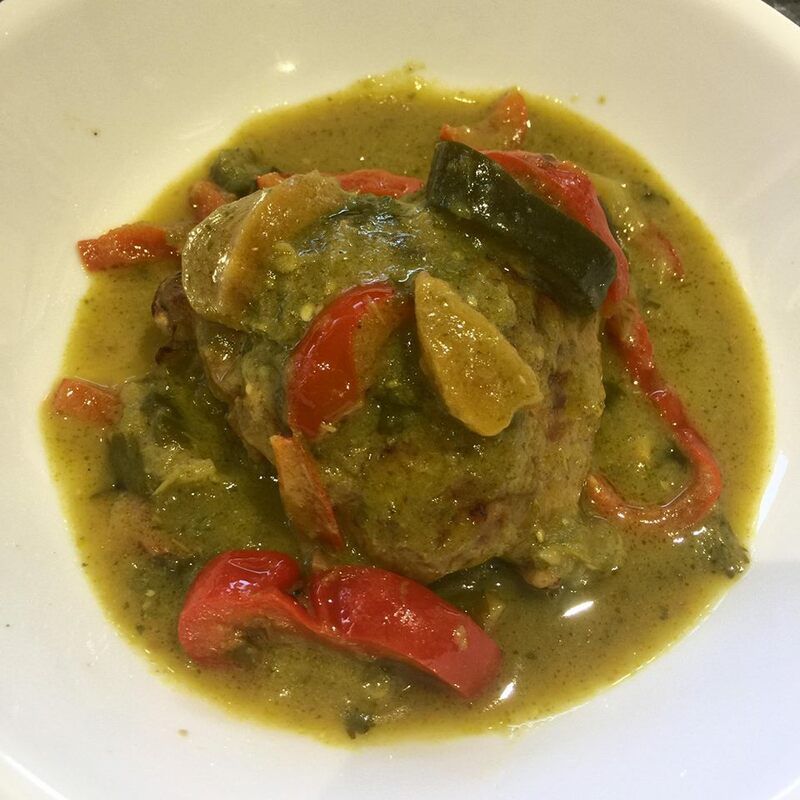 Chile is often on the menu at our home and this Yucatan Green Chili Saute from Melissa Joulwan's book Well Fed Weekends, has become a favorite! 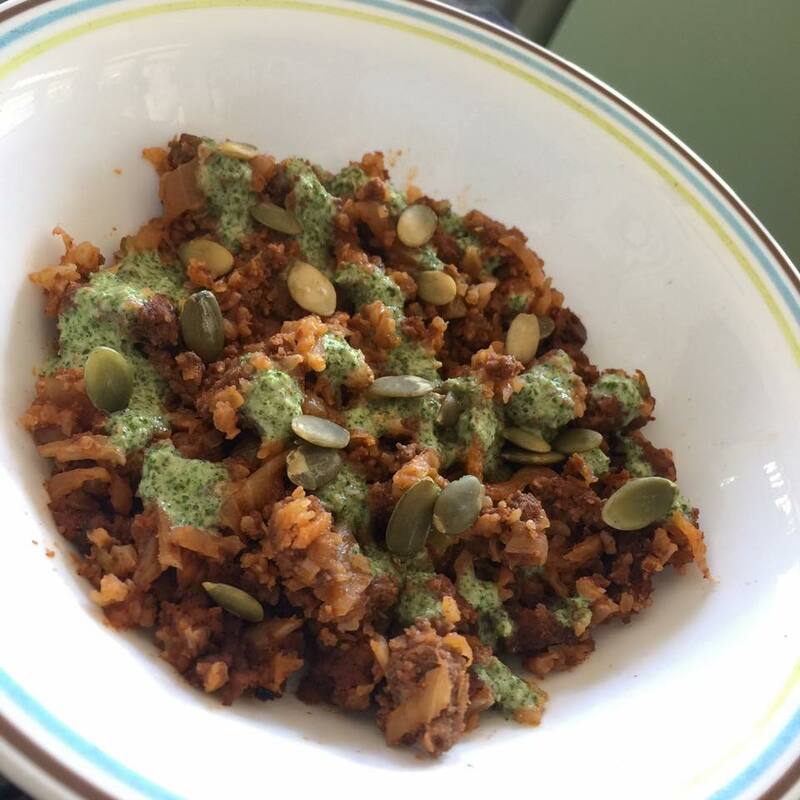 We love that this is a quick onepot meal which includes protein and vegetables. Even better, it's delicious freshly made or as leftovers. 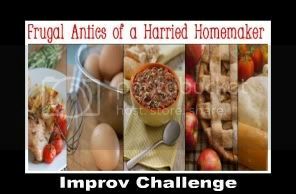 Of course in our home, no good recipe can be left as found so we tweaked this one to our taste by mostly amping up the heat. We also made this in the Instant Pot instead of on the stovetop. 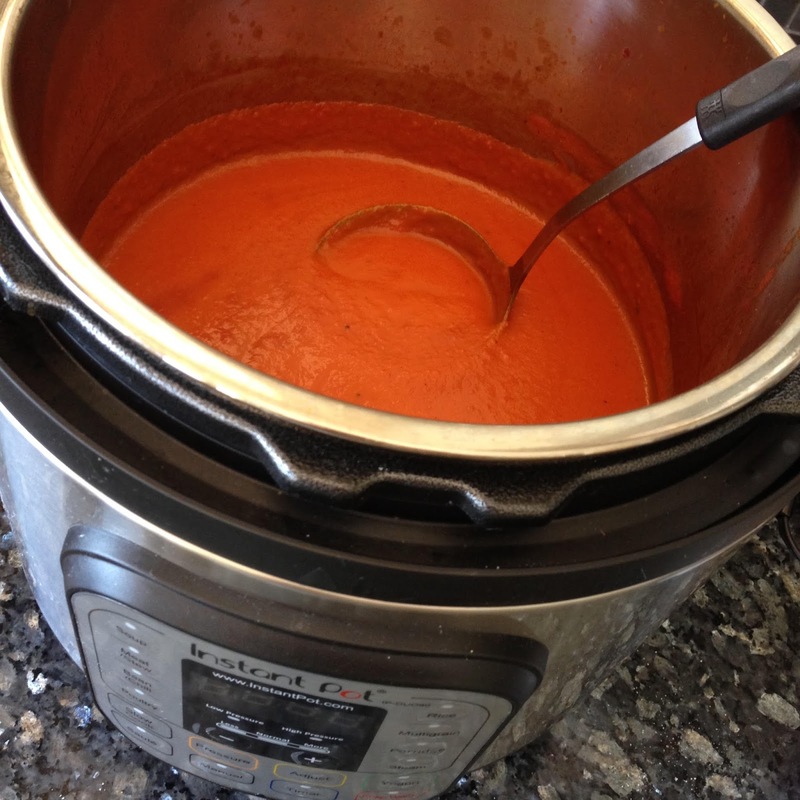 Both are easy but we're in love with our Instant Pot and use is whenever possible. Great thing about chili, it's easily tweaked to your individual taste. Check out both Melissa's original recipe and our adaption and make one or both, you won't be disappointed. Set the Instant Pot to saute and add the olive oil, heat until warmed. Add the onion and saute until golden. Add the garlic and saute until fragrant. Add the ground beef, salt, cumin, paprkika, pepper and oregano and brown the meat, breaking it up as it cooks. Once browned, add the tomato paste and red wine, mix well. Add the raisins, cauliflower and chilies. Mix well. Lock the lid on the Instant Pot, close valve and set high pressure for 10 minutes. Use natural pressure release. While the chili is cooking, prepare the cumin-lime sauce. Place all the ingredients in a flask, and using an immersion blender, blend until thick and creamy. Or, place all ingredients in a blender and blend till smooth and thick. Serve the chili with a drizzle of the cumin-lime sauce and sprinke on some pumpkin seeds for a little crunch. It's a snowy day here in Georgia and nothing is better than a hot delicious bowl of soup. Maisie put in her request for Creamy Tomato Soup. As we had all the necessary ingredients in the house, her wish was granted. This recipe was made in our 8-qt Instant Pot but could easily be made in any pressure cooker or even in just a pot on the stove. We enjoy the soup with a bit of added heavy whipping cream, just for some extra creaminess, but even without the cream the soup is creamy delicious! Heat pressure cooker and add the ghee. Once metled, add the diced onion and sautee until tender. Add the potato, garlic & black pepper. Mix well and saute until the garlic is fragrant. Add the sundried tomatoes, diced tomatoes, tomato sauce, tomato paste, water, and salt. Close the pressure cooker and steam release valve. Set high pressure for 10 minutes. When time is up, allow for 10 minutes of natural release and then release any remaining pressure with quick release. Use an immersion blender to blend the soup smooth. Add additional salt and pepper to taste. If using the cream, stir in before serving. Oh my gosh, we cannot believe that it’s October already, September seemed to pass in an instant! Guess that getting back into the groove of school and of course coming down with the crud from all those new germs, and being sick for over half the month had something to do with it. Here we are though, on the mend and Autumn is in the air so back on our game and hopefully back to some delicious cooking…because honestly all that was made last month were pots and pots of Cheaters Chicken Soup! We did add some variety when we then morphed the Cheaters Chicken Soup into Jalapeno Popper Soup and Silky Gingered Zucchini Soup. Honestly, soup and scrambled eggs were our diet for the month. Getting us back into the swing of cooking was two part, a friend asked us to bake some special treats for a party she’s having and it’s Secret Recipe Club time! 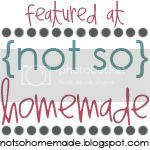 Thankfully this month we could accomplish both tasks at the same time as our assigned blog, Danielle’s Mostly Food and Crafts had some wonderful sweet treat recipes to choose from. Seriously, key lime pie bars, truffle fudge, zeppolle, and brownie biscotti all sounded and looked amazing but in the end we decided on Danielle’s rum balls, because honestly, who can resist a good rum ball? We stayed pretty true to Danielle’s recipe, really only changing the sugar we rolled the balls in to finish as she used sanding sugar and we used confectioner’s. How did they turn out? Well just amazing, we wouldn’t change the recipe a bit! 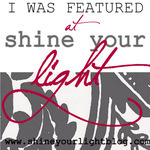 Check out Danielle’s blog for all her wonderful recipes and crafty fun. Preheat the oven to 350F. Line a 12x17-inch rimmed baking sheet with foil and grease with butter and set aside. 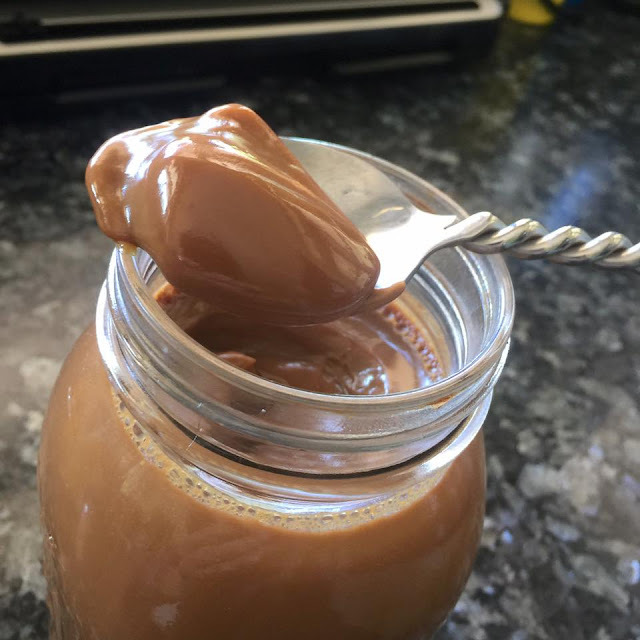 Place the butter & chocolate in a microwave safe bowl and heat at 50%, stopping and stirring each minute, until the butter and chocolate are melted. Set aside. In a large bowl, whisk together the 3 eggs then whisk in the brown sugar, vanilla, and salt. Stir in your chocolate mixture, then fold in the flour. Pour batter into prepared baking sheet. Spread evenly with a rubber spatula. Bake until top is shiny and a cake tester inserted into center comes out with some crumbs attached, about 10 minutes. Let cool completely on a wire rack. Break up the brownie into small pieces and transfer to the bowl of an electric stand mixer fitted with the paddle attachment or the bowl of a food processor. With machine on low speed, pour in the dark rum, and mix until crumbs start to come together to form a ball. Shape into 1-inch balls, and roll in confectioners sugar to coat. This recipe makes 4 dozen rum balls. Refrigerate the rum balls uncovered, until cold, about 2 hours. Can be served chilled or at room temperature. We have been sick with the crud this month so soup and scrambled eggs have made up the bulk of our diet. We made some super-easy Cheaters Chicken Soup and then turned around, once we got a bit of our energy back, and turned some of the stock into this delicious, creamy, spicy, hearty, filling soup as it’s a great way to use up the leftover chicken. We enjoy the soup quite hot and spicy but you can mellow it out some by either removing the seeds from the jalapenos or using less of them. Also, we use white meat in the soup but if you have a preference for dark meat, go for it! In a soup pot, slowly cook the bacon pieces until crispy. Remove the bacon from the pot and set aside, leaving the fat behind. To the fat add the onion and sauté until golden. Add the jalapenos and garlic and sauté until the jalapenos and garlic are fragrant and softened. Remove half of the onion/jalapeno mix and set aside with the reserved bacon. Add the chicken broth to the pot and bring to a simmer. Stir in the cheddar cheese and while stirring, allow it to melt. Add the cream cheese and using a hand blender, blend until fully mixed and creamy. Return the soup to a simmer and add in the shredded chicken and reserved bacon and onion/jalapenos. Allow to simmer for a few minutes and season to taste with salt & pepper. Today we are re-visiting a favorite recipe of ours Cheaters Chicken Soup, as we’ve spent so much of the month sick with the crud and honestly when everyone is doing just enough to make it through the day, no one wants to cook or have heavy meals but chicken soup is love and makes everyone feel better. We purchased roasted chickens from Whole Foods, took off some of the meat we wanted to eat and the rest, along with the bones, skin and juices from the container all went in the pot and in a short time the house smelled wonderful and we were all sipping steaming mugs of soup. Healing stock for our sick bodies! Place everything in a large stockpot and cover with cold water. Cover the pot and bring to a boil. Once it reaches a boil remove the lid and reduce heat to a simmer. Cook for about 1 to 1.5 hours. Add salt & pepper to taste. Allow the soup to cool a bit so that it’s easier to handle then strain it through a colander or sieve and discard the solids. To make the matzo balls in the picture, purchase this and follow the directions or enjoy a bowl of this soup with some delicious huge popovers, total yum! After the soup has cooled completely I package it in freezer bags in two cup portions so that I can easily pull it for recipes or for a nice cup of tasty soup. Have you ever had a dish which you always enjoyed growing up but over the years it was forgotten? Well that’s the deal with this easy, past loved recipe from our Secret Recipe Club assigned blog this month. We were perusing Laura’s blog, Mother Would Know, and saw her recipe for Egg-in-the-Hole and all the delicious memories returned. It was a done deal as to what was going to be made this month, especially as Maisie had never tried Egg-in-the-Hole and no child should be deprived of it’s deliciousness! Like Laura, we grew up having this made with cheap white bread but Laura suggests using the best bread you can find. In our case, because of Maisie’s gluten allergy, we went with gluten free bread which worked perfectly and was a huge hit with little Miss. M.
Laura is an attorney that loves to cook and though she’s never worked in a restaurant and doesn’t have a certificate or degree in cooking she has the best credentials of all. As she says, “My credentials are the meals that I make, the fun I have in the kitchen, and the fact that even people who aren’t my kids call me when they have cooking quandaries,” sounds perfect to me! 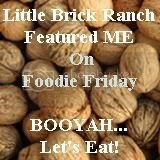 Laura’s site is filled with plenty of great recipes for the home cook or any cook so check it out. Heat a skillet and add a generous pat of butter. Using a juice glass or biscuit cutter, cut out a round hole in the center of the slice of bread. Place the slice of bread and the cut-out hole side by side in the pan and allow to slightly brown. Turn the hole as necessary until golden and remove to a plate. Once the first side of the bread slice is slightly golden, flip it over and add your egg to the hole. It is fine if the egg white is completely contained or spills out over onto the bread, it’s all good! Cook the egg in the bread until the white is almost completely set and then flip it over to continue cooking to desired consistency. Remove to plate, add salt & pepper to taste and enjoy along with the toasty cut out bread circle. For people who love all sorts of food, we dine out very, very infrequently. When we do go to a restaurant it’s generally to the local Szechuan restaurant where the food reminds us of our time in China. One of our favorite dishes, which we always order, is Dry Fried Eggplant. This is our attempt to recreate the dish and honestly we are pretty darn close. Though this dish is almost spot on, I will say that it’s often easier to just go out and enjoy someone else’s cooking and having them do the cleaning up too! Heat oil (deep enough to come halfway up the thickness of the eggplant fries) in a heavy bottomed cast iron pan and heat to approximately 350F. Place a wire rack over several layers of paper towels for draining after frying. Mix together the tapioca flour, salt, ground Szechuan peppercorns and paprika and place on a large rimmed baking sheet. Lightly moisten the eggplant fries with water and then lightly coat the fries with the tapioca flour mixture, shaking off and discarding any excess. Working in batches, carefully fry the eggplant, turning when necessary, until lightly golden brown and tender in the center. Remove the fries to the prepared cooling rack. Plate and sprinkle on the cilantro and Szechuan peppercorn flakes. We adore stuffed cabbage but making it can be awfully time consuming. Enter Un-Stuffed Cabbage Soup, tastes just as delicious and takes just a fraction of the work and time to make. We make this for a quick hearty meal in the pressure cooker which cuts the time even more, but it’s just as easily made in a pot on the stovetop. Heat the olive oil and then sear the chuck steak cubes on all sides until browned. Remove the steak from the pot and set aside. To the same pot add the onions and sauté until they begin to caramelize. Add the garlic and ground beef and cook until the beef is browned. Return the steak to the pot and add all the remaining ingredients. Cook until the cabbage is tender. (I use a pressure cooker, 15 minutes at high pressure and then I let it cool to reduce the pressure instead of just releasing the valve) Salt and pepper to to taste. This is good the first day but gets better after it sits a day or two.